preserve, maintain and provide tours of the Robert Fulton Birthplace, listed on the National Register of Historic Places in 1966 as well as other historic buildings on the Birthplace property. To cover our expenses to fulfill our mission, we rely on several annual fundraisers, including our annual House and History Tour (our most popular and profitable fundraising activity), that enable the Society to preserve our community's proud history including the preservation and maintenance of the Robert Fulton Birthplace, Granary and Archives Buildings without any State or Federal financial support or funding. In 2016 we will be holding our 7th Annual House and History Tour on Saturday, June 4th from 10:00 a.m. to 4:00 p.m. This year the tour will be focusing on Little Britain Township, Southern Lancaster County and West Nottingham Township, Chester County. On average, approximately 200 people participate in the tour which exposes your business to a variety of new prospective customers. This year we are offering four levels of sponsorship and the opportunity to become a Patron of the Society. Note that tour tickets, valued at $18 each, make excellent employee recognition awards or gifts. The Society is a 501(c)(3) nonprofit organization and we will provide you with a receipt to be used for tax purposes. _____ $400 - THE ROBERT FULTON, named for the internationally famous artist and entrepreneur from Southern Lancaster County; includes a full page ad (8-1/2 x 11”) plus 8 free tickets to the tour. _____ $200 - THE LITTLE OLD AND SLOW (LO&S), named for the Lancaster, Oxford and Southern Narrow Gauge Railroad; includes a half page ad (5-1/2" x 8-1/2") plus 6 free tickets to the tour. 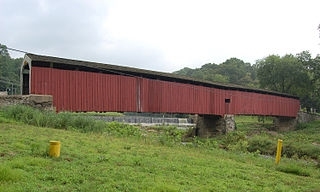 _____ $100 - THE BARTSHIRE, named for the commercial center of Southern Lancaster County in the 1700’s; includes a quarter page ad (5-½” x 4-1/4") plus 4 free tickets to the tour. 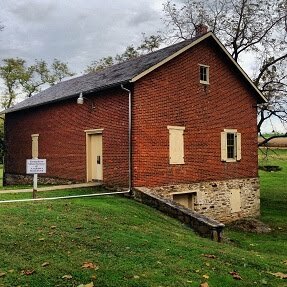 _____ $50 - THE ARK, named for the 1790 Manor House located in Quarryville next to one of the many limestone quarries, the namesakes for Quarryville; includes an eighth page ad (2-3/4” x 4-1/4") plus 2 free tickets to the tour. $________ PATRON - A custom amount elected by the contributor. This is an opportunity for businesses, groups or individuals to be recognized as supporters of the Southern Lancaster County Historical Society. Your name will be listed in the tour brochure. Contributions of $50 or more will receive free tickets commensurate with the contribution. Minimum contribution: $10.00. The Southern Lancaster County Historical Society would be most honored if your business would agree to be a sponsor for this year's event. The Society looks forward to your positive response. Stan White at 717-548-4978. A receipt for your tax records will be provided upon receipt of your contribution. A sponsorship form in support of this year's House, Art & History tour is attached.